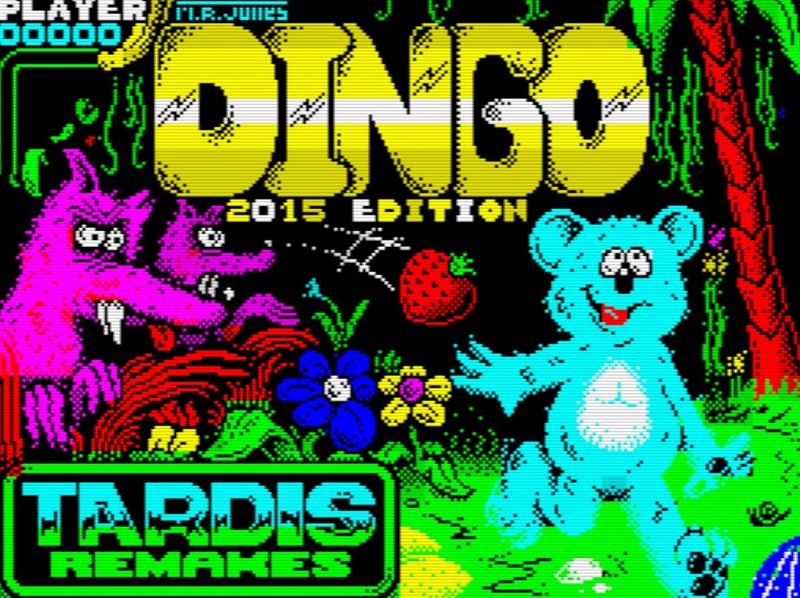 Indie Retro News: DINGO - High quality ZX Spectrum release gets an improved 1.3 update! DINGO - High quality ZX Spectrum release gets an improved 1.3 update! Hunting through the latest ZX Spectrum games for 2016, we came across a game that looked like it could've been sold by Ultimate Play the Game way back in the 80's. Sure enough, according to Tardis Remakes who remakes retro games for modern computers, and also remade this game. ' 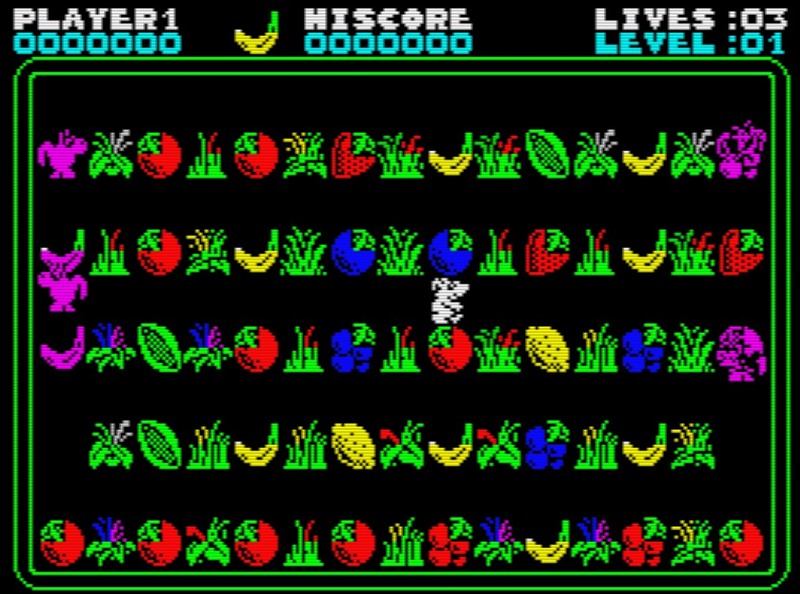 Dingo ' was an arcade machine game made by A.C.G – also known as ‘Ultimate Play the Game’ – in 1983 that looked very much like their classic Spectrum game ‘Sabre Wulf’. Also according to the remake creator, the game has never seen any other commercial releases, but he did remake it for the PC in 2008 for a competition, ported it to OSX in 2011 with a later game being premièred at the REPLAY EXPO in Blackpool with gorgeous looking physical cassette tapes and covers! In this game you control the character Big Ted who is a koala bear on a serious need for extra nourishment, the problem is there are nasty Dingo's who will stop at nothing to cause you harm. Thankfully in this maze like game with lovely sound effects and a great intro tune, not only can you collect the fruit which increases your high end score, but if the enemies are getting in your way, the fruit can be thrown at them to be stunned. But don't throw too many or that score wont be as high! What a lovely start to 2016 and such a great game to play and even more so with the latest 1.3 update, which was released yesterday! Copyright for the game idea – the IP – is held by A. C. G. who made the original arcade game in 1983.